The Toronto Real Estate Board posted the following press release, regarding its on-going fight to eliminate the Toronto Land Transfer Tax. 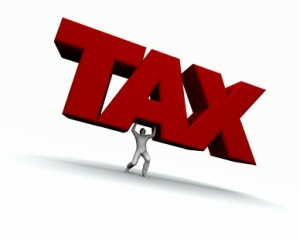 This taxation measure was granted under the City of Toronto Act, 2006. Toronto City Council approved this new Municipal Land Transfer Tax effective February 1, 2008 that’s applied to purchases on all properties in the city of Toronto in addition to the Province’s Land Transfer Tax. TORONTO, February 12, 2013 — On behalf of its over 36,000 REALTOR® Members, The Toronto Real Estate Board (TREB) congratulates Councillor Frank Di Giorgio on his appointment as Chair of the City of Toronto’s Budget Committee. TREB looks forward to working with Councillor Di Giorgio in this critical position as he moves the City’s agenda forward, especially with regard to fulfilling Mayor Ford’s strong commitment to begin phasing out the Land Transfer Tax. “We applaud Councillor Di Giorgio for his commitment to the City. The role of Budget Chief is critical to the success of our City. We look forward to working with Councillor Di Giorgio, in his new role, as he works to address the many important budget issues facing our City, especially the negative impacts of the Toronto Land Transfer Tax,” said Ms. Hannah. Nearly seven in ten Torontonians, 68 per cent, support plans to eliminate the Toronto Land Transfer Tax. This is up from 65 per cent one year ago. 77 per cent of GTA residents planning to purchase a home in the next two years are more likely to purchase outside Toronto specifically to avoid paying the Toronto Land Transfer Tax. 72 per cent oppose municipal land transfer taxes even if this tax was dedicated for spending on transit and infrastructure. 76 per cent of Torontonians who recently paid the LTT feel that they have received little or no added value in municipal services for the amount of LTT that they paid. “For the buyer of an average detached home in Toronto, the municipal land transfer tax costs about $10,000. It is unfair to expect people like down-sizing seniors, or young growing families who need more space, to pay so much more than their fair share,” said Ms. Hannah. Research has proven that municipal land transfer taxes have a negative impact on home sales. The C.D. Howe Institute recently released an analysis of the Toronto Land Transfer Tax, which shows that this tax has hurt Toronto’s economy by dampening home sales by 16 per cent. In addition, the Ipsos Reid poll found that 25 per cent of the people who recently purchased a home in Toronto would have spent their land transfer tax money on furnishings or appliances, if they had not had to give it to the City, and 21 per cent would have spent it on renovations. “Housing sales create jobs because when people move they spend money on things like renovations, movers, appliances, and furnishings. In fact, studies have shown that every resale housing transaction results in over $40,000 of spin-off spending. Every housing sale that is lost as a result of the Toronto land transfer tax risks Toronto jobs,” said Ms. Hannah.